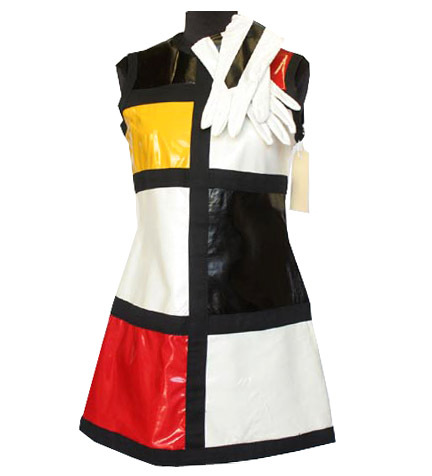 This mod dress with matching gloves was worn by a background waitress character in “Austin Powers: International Man Of Mystery”. 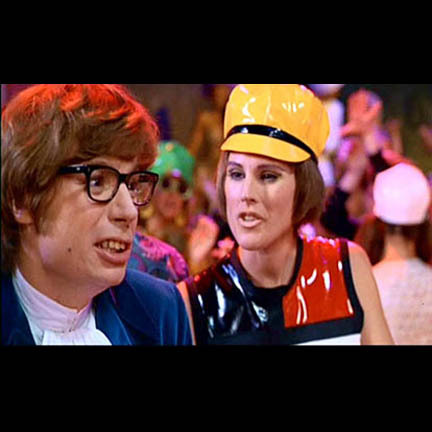 The multicolor four square pattern dress was custom made for use in the film and was worn in the scene when Austin Powers (Mike Myers) punches out a club "waitress" who actually turns out to be a man in disguise. The costume is in excellent screen worn condition and is accompanied by a letter of authenticity from the costume house.